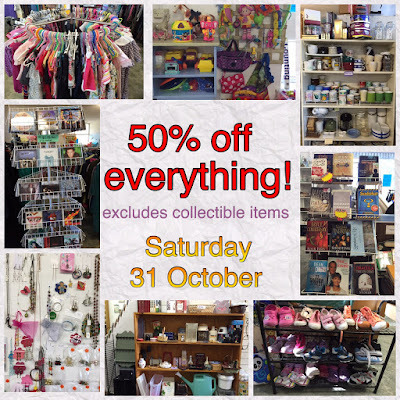 On Friday 30 October, Another Chance in Scullin will be holding their last Frantic Friday for the month - with 50% off all clothing. Then on Saturday 31 October, they will have 50% off the price of everything excluding collectibles. Another Chance op shop is at Scullin Shops, Ross Smith Crescent, and is open Monday to Friday 10.00 am - 4.30 pm and Saturday 10.00 am to 1.00 pm.